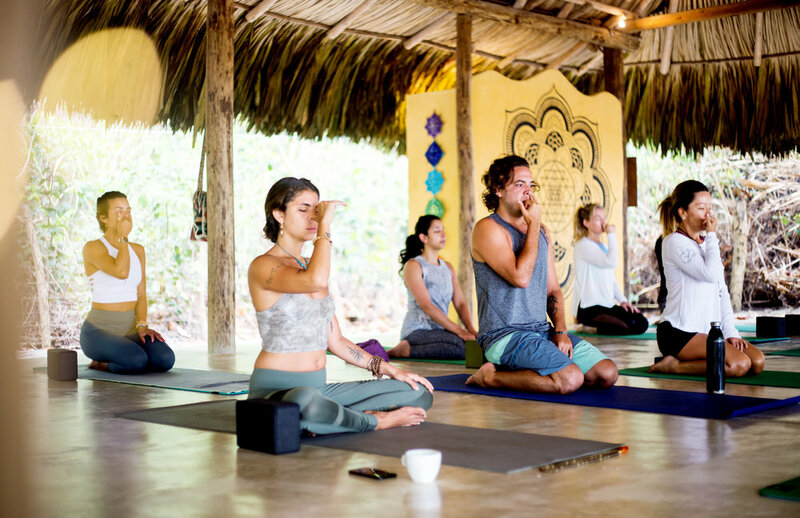 Join us for a 6-day and 5-night all inclusive Yoga Retreat at the Gitana Del Mar Beach Resort on the coast of the Sierra Nevadas de Santa Marta de Colombia! Thank you. You will receive an email shortly with all Colombia Retreat details. Make sure to check your spam/promotional folder in case it goes missing. We are excited to share this with you and hope you are able to join! 3 handcrafted, locally sourced and organic meals a day! Goodie bags from our Colombia Retreat sponsors including Kulae Yoga, Onzie, Don't Mess with Ganesh, Bohemian Island, Balanced Guru, SipSutra & more! 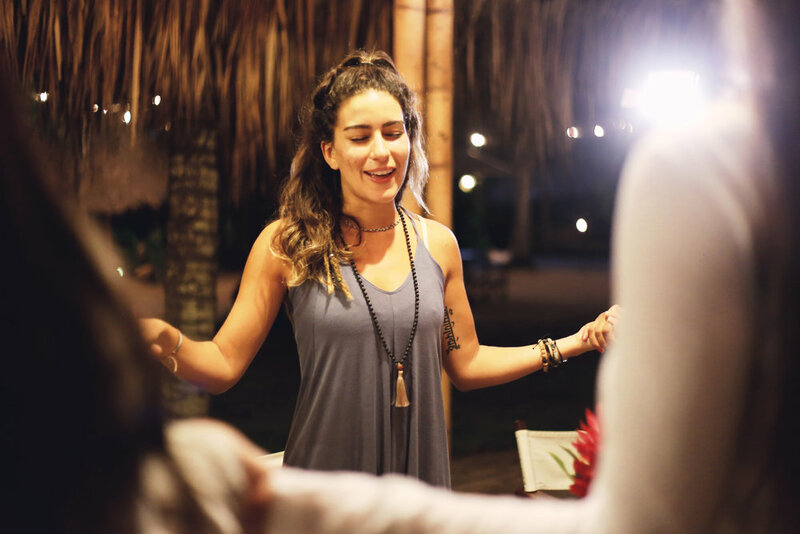 The purpose of this Yoga retreat is to revive our creative fire and explore different Yogic practices to provide you with the tools to develop your personal practice and connect with other likeminded individuals. Through Asana (physical movement), meditation, pranayama (breathing techniques), philosophy, education, music & community, we weave an entire week of offerings into one unique and unified experience. Each day of the retreat will be focused on a different chakra of the body to develop an awareness of the chakra system! We then offer a variety of yoga class styles, workshops, group activities & meditations for building your practice. 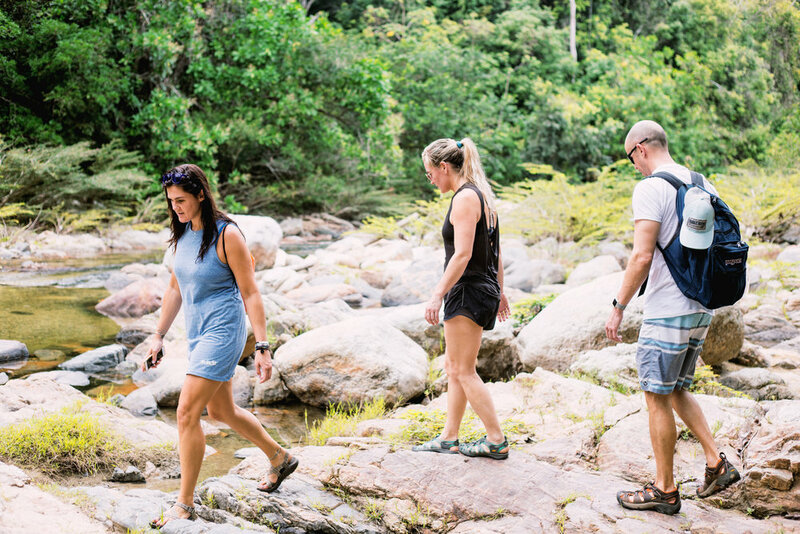 Daily jungle adventures like Treks to Waterfalls, Sacred Pools, River Tubing, Horseback riding & Trips to the National Parque Tayrona & Lost City are offered to experience the beauty and bliss of COLOMBIA. If desired, individual exploration is encouraged also. Welcome to the home of our Colombia Retreat. The Gitana Del Mar Beach Resort is located at the base of the Sierra Nevada de Santa Marta mountains alongside of the Caribbean sea. It's lush land harbors a retreat oasis of pure jungle and ocean bliss. Gitana Del Mar is comprised of 7 eco-friendly jungle style bungalows. Each with high ceilings, ceiling fans, an ocean breeze and it's own private outdoor shower. This eco-chic boutique resort is small and cozy and privately rented out to our retreat for the duration of the week to keep the retreat intimate. We are in the jungle with a 3 minute path walking out to the vast, infinite, Caribbean sea. There is also a pool oasis in the Resort center for us to enjoy, close to it's open air restaurant hut. Gitana Del Mar's staff has become apart of the Lotus Retreats family. As our flagship retreat, we host 3 retreats at Gitana a year and their staff is a huge part of our retreat experience! 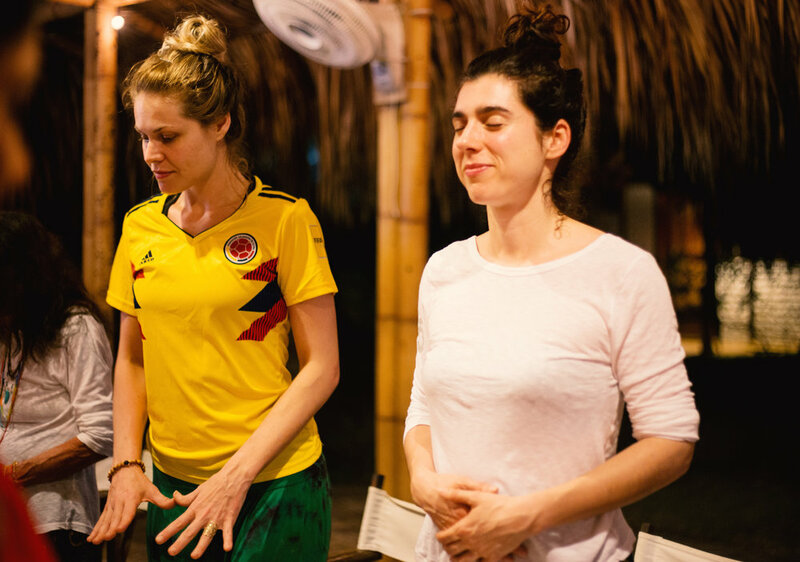 Surrender to nature and join us for sacred movement and meditation in the lush jungles and tropical Caribbean coast of Colombia. A $500 nonrefundable deposit is requested. We offer triple, double and single occupancy rooms and are happy to pair single travelers with roommates! Balancing the chakras left me feeling refreshed and revived coming home. My favorite excursion was going to the waterfall. It was inspiring hearing Juan talk about the land and the balance in nature and jumping off the waterfall was a thrill better than any roller coaster at a theme park! Space is limited to 14 guests per week. Check out more images of the retreat weeks on our Instagram @LotusRetreats! Are flights and additional excursions included? Flights are not included in the retreat week price. The total cost of the retreat includes your hotel accommodation, all meals, all yoga and a massage! Is pricing per person or per room? What are the nearest airports to the Gitana Del Mar Beach Resort? We recommend flying into Cartagena to experience it's rich history & culture! MarSol is the trusted shuttle service of Colombia. Have your Airb&b, hotel or hostel arrange for pick-up from MarSol the morning of the retreat. The MarSol shuttle will drop you off directly at the resort. We can also arrange private van service and help with arranging Marsol if needed. Do I need any vaccinations traveling to Colombia? There are no mandatory vaccines traveling from the US to Colombia. If you are traveling from other countries in South America, you will need a Yellow Fever vaccine. I want to be in a triple occupancy but I am traveling solo. Can I be paired up? Claro que si! Yes, we are happy to pair you up with others in a room. I am traveling alone! Will I be able to meet up with other traveling guests at the airport? Yes! We have a Facebook group for all booked guests and aim to connect everyone prior to their travel into Colombia so you can arrange meet ups and share shuttle/van service. We know traveling to a foreign country can be scary so we are here to guide you along the way!